Electronic communication can be achieved by finding the right tool for communication. Moving from paper to electronic communications can actually help your business connect easier, while saving time and money. Email, instant messaging, websites, blogs, text messaging, voicemail and video messaging are a few examples of electronic communication. Electronic communication has changed the way businesses communicate with each other. Electronic communication can be very beneficial if used effectively. Knowing the strengths and weaknesses will help businesses conduct effective electronic communication. Knowing the proper medium to communicate your message is important to effective electronic communication. 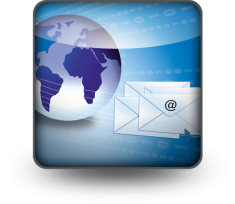 Email is a common communication method for sharing information with businesses. However, email is not always the best method of communication when sending to mass amounts of people. Many recipients of mass email will delete the email without reading it. E-mail is a useful communication approach that instantly delivers messages between computers. Paper correspondence is no longer needed to transmit documents and other important information. Businesses have shown increased productivity and profitability by decreasing the time and money spent on correspondence. Unfortunately, they also commonly display a lack of attention to exactly who has access to certain information, and to whom such information is being transmitted. The likelihood for abuse of e-mail and the Internet in the workplace is great. Find a method for effective electronic communication that will best fit your goals. If you have a message to communicate with many businesses, electronic newsletters are a decent alternative to mass email. Blogs are a useful electronic communication method for marketing. Many businesses use blogs (like ours) to reach a new audience of potential customers. Effective electronic communication has a clear message. For email, clarity begins with the subject line; type in a meaningful subject line which directly gets to the point of your message. The same goes for blogging. The title of your post should tell the reader exactly what your post is about. Breaking up what you have to say into small paragraphs helps to keep your message clear. One weakness of electronic communication is the lack of communication support. In a face-to-face conversation nonverbal communication, such as tone of voice and body language, help to clarify the message you are sending. This lack of communication support can lead to messages becoming misinterpreted. Another issue with electronic communication is security. Your computer can be hacked, and infected with a computer virus. This can have an unfavorable effect on the computer system, and the network. One more disadvantage is email privacy. An email is sent using data packets via computer networks. These data packets pass through routers and computers, before the email reaches its destination. Therefore, there is a chance of an individual tampering with the emails before the email reaches the recipients. In summary, electronic communication replaces the hassle of coordinating face-to-face meetings and productivity and provides a quick and easy way to communicate. However, as with most technological improvements, there are a number of ways that e-mail communication can create potential problems in the workplace, but the positives out-weigh the negatives. As organizations continue to create and leverage more data as part of day-to-day operations, developing a clear, robust data backup strategy is key. Learn how SWICKtech can craft a plan to protect your most valuable resources. Good leaders understand the importance of delegation. Great leaders get feedback from their delegates and incorporate it into action. So, chances are you’ve hired your IT department to handle your technology because their expertise outweighs yours by a fair margin. Is Your IT Guy Dangerous? Just how dangerous is an IT department operated by just one person. If your company puts all their trust in one person, a lot more than you realize may be at stake. We’re not suggesting that all IT personnel are dangerous—we wouldn’t have a functioning world if that were the truth.